The Passing Tramp: Hard as Steel with a Heart of Gold: The Hank Hyer detective novels of Rudolf Hornaday Kagey (1904-1946), aka "Kurt Steel"
Hard as Steel with a Heart of Gold: The Hank Hyer detective novels of Rudolf Hornaday Kagey (1904-1946), aka "Kurt Steel"
As "Kurt Steel" New York University college professor Rudolf Hornaday Kagey between 1935 and 1943 wrote ten detective novels, nine of which concerned the crime-busting exploits of Hank Hyer, a tough former boxer turned private eye. The Hank Hyer mystery series was popular in the US, spawning two films, the well-received Murder Goes to College (1937), based on the Steel novel of the same name, and the quickie follow-up Partners in Crime (1937), which apparently had no relation to an actual book by the author. The son of Charles Claudius and Martha Hornaday Kagey, Rudolf Kagey was born in the small town of Tuscola, Illinois in 1904. He grew to adulthood there and in Flint, Michigan, where his father, a mortgage banker, moved to become secretary and general manager of the city's Guaranty Title and Mortgage Company. Rudolf's Indiana-born maternal grandfather, Christopher Hornaday, likewise fought in many battles during the Civil War, including the siege of Vicksburg, albeit on the Union side. 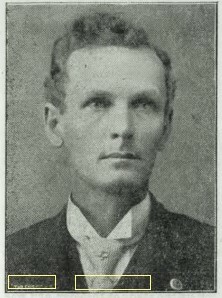 Hornaday prosperously farmed in Crawford County, Kansas after the war, where one of his sons, Harry, at the turn of the century served as superintendent of education, strengthening the notable association of Rudolf's forbears with the teaching profession, of which Rudolf himself would become a distinguished representative. Rudolf's maternal uncle Harry Hornaday, who the year Rudolf was born died at the age of 36, was memorialized as not only an exceptionally able educator and administrator but a "lover of justice and fair play" who "constantly championed the cause of the weak." In his school, we are told, Harry "would not tolerate for an instant the ridicule of the poor by those more fortunate." A total abstainer from alcohol himself, "he deprecated the use of intoxicating liquor by others" and "was a close student of the Bible." Rudolf, who I think rather resembled Harry physically, shared some of the personal qualities of the uncle he never knew, such as vocational zeal, love of knowledge, moral fervor and a passion for fairness. Like his uncle, Rudolf also passed away at much too young an age, being only 41 when he died, after what was reported to be a long illness. 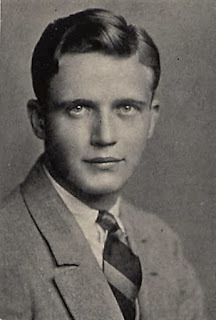 An only child, Rudolf was educated at the University of Illinois and Columbia University before in 1928 joining the faculty of New York University, where he became an assistant professor of philosophy and director of the night school. 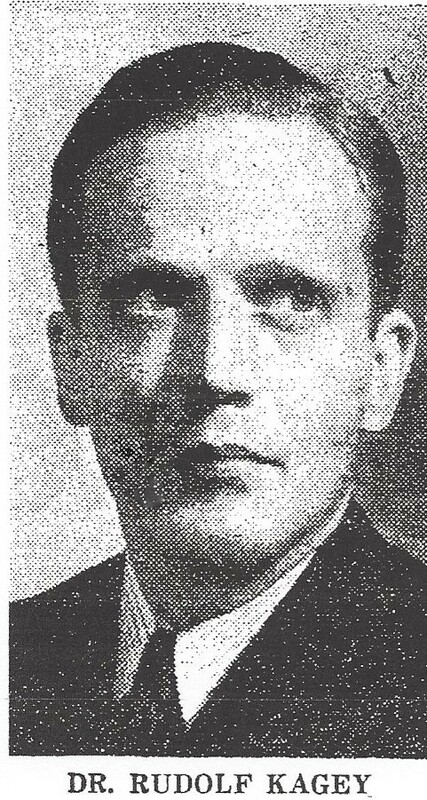 In 1930, Rudolf lived with Howard Selsam (1903-1970), a fellow philosophy student from Columbia University who became an instructor and later assistant professor at Brooklyn College. 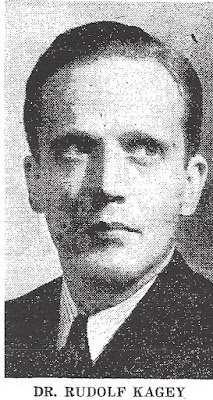 Selsam's association with the Communist Party led to his resignation from Brooklyn College in 1941; he later became director of the Communist Party's Jefferson School of Social Science, which was destined to become an object of opprobrium during the McCarthy era. 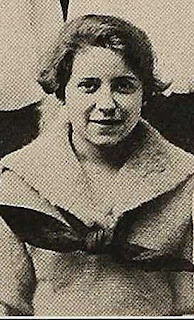 Not long after 1930 Rudolf married Gladys Katherine Bleiman (1898-1991), daughter of Isadore Bleiman, a Jewish real estate salesman in Manhattan, and his wife Regina Leofler. Karen, as she was called, had studied philosophy and psychology at Cornell University and had served as president of the Women's Dramatic Club. An enthusiastic performer on stage, Karen in 1917, for example, played the "boy" in The Golden Doom (1910), a one-act play by Lord Dunsany that addressed philosophical questions of religious faith. Outliving her husband by 45 years, Karen worked as a psychologist with STAR, the Society to Advance the Retarded, for nearly four full decades, from 1944 to 1982. In 1935 she and Rudolf had their only child, a daughter. Rudolf also served as director of public education for the New York World's Fair in 1939 and secretary of the Authors Guild, America's oldest and largest professional organization for writers. In the latter capacity he led a campaign, not long before his death, to win larger paperback royalties for mystery authors--a campaign with which I'm sure the crime writers who read this blog can sympathize! As the latter point suggests, Rudolf Kagey was a committed supporter of the Labor movement and in his crime novels he gave intelligent expression to this and other liberal-left moral sentiments. This aspect of his fiction lends his books added interest for the social historian, but additionally some of his mysteries are very good indeed, in my view, when judged "simply" as mysteries. 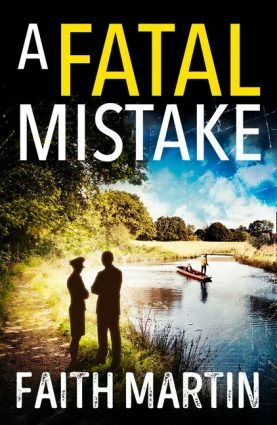 This weekend I plan to discuss a couple of Kagey's detective fiction titles, one which was disappointing, I admit, but the other of which was first-rate. I've seen the Kurt Steel novels for sale various places and have been curious about them. I'm looking forward to your reviews. Aargh! I had a Kurt Steele post planned for October. Seriously. It's been on hold since the early summer as I slowly made my way through the Hank Hyer books I've amassed. I've read four of the Hank Hyer books and though I wasn't too excited about the first one (retitled The Travelling Corpses in the paperback digest copy I own) the others were pretty good. Oh well... As usual you've done a remarkable job on researching the author. But you didn't include something I found. Kagey was responsible for getting Doris Grumbach, a pioneer in LGBTQ fiction, admitted into his creative writing program despite her poor academic record in high school. Based solely on a prize winning short story she wrote as a teen he campaigned for her admission into the university where he was teaching and got her in. Well, there are ten books, so there is enough to go round! I've got some more about him in some later posts, with another pic, coming up. But, honestly, John, have done a lot on your blog, so many writers covered. I didn't like the first book by him I read very much, but found the second really interesting, so decided to give a more in depth look.